15ml will be enough for 80 Ltr of water. 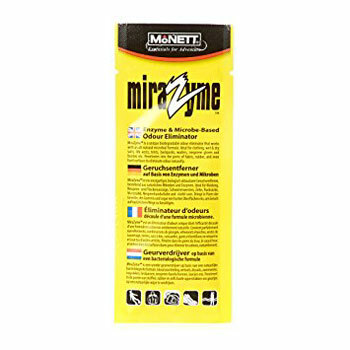 How to use: Fill water in a container and add 5-10ml MiraZyme. Stir it up and put the equipment into the water. Don&apos;t rinse the items. Just dry the equipment. Store the smell remover cold and dry.